“Showcase Baristas” is beeing a barista just a fashion? For some time now I’ve noticed that the barista profession has become increasingly popular, I would say to fashion, that’s a positive thing, and thanks to that, many specialty coffee have open there doors and Coffee quality is getting better. Now you can not only order a cappuccino, a latte or a black coffee, we can actuallly decide wich way they can prepare or coffee in a Chemex, V60, French press etc. With African origins, Colombians, Asian, in a light or Italian rost. But behind this fashion is something that worries me and it is the word that i just used “fashion”, as we all know at some point everything becomes popular and after a time everything gets old and out of fashion, for example I have in my mind the memory of the bartenders, who in 90this began to be a fashion job, creating a amazing cocktails and publicizing their profession, many bars opened their doors with fantastic proposals, but now we not longer think of them as the professionals as they are and we dont have so much respect for the immense work that these professionals do and deserve. But why is this happening? 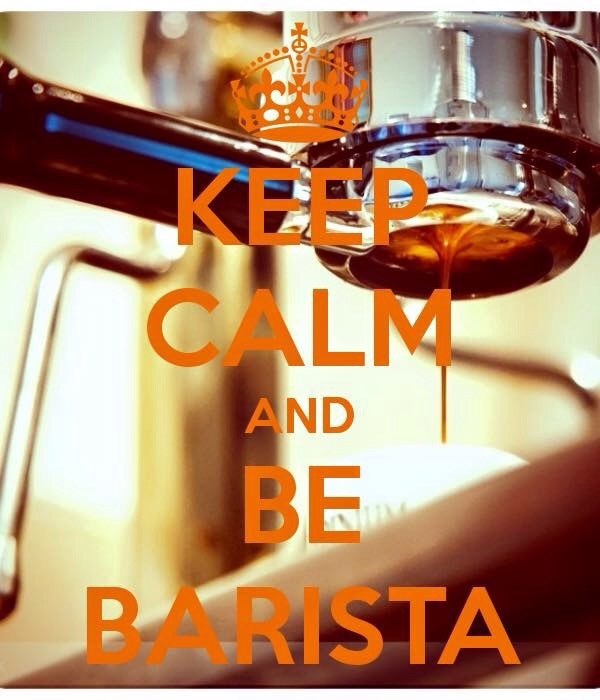 And most importantly, how we can avoid that we dont get as baristas out of fashion?In my opinion all this happens for one simple reason and this is that we forget what is essential to be professional: education, experience, knowledge and respect. I do not have many years in this world of coffee, but in any case, I see a big difference in education, when I started I had to work and study a lote to simply have the opportunity to work in the espresso machine or for just brew my first V60 and for me when i finally had the chance to use for the first time the espresso machine was something fantastic and amazing and i still have great respect for all that, because in my opinion I still have much to learn. The big problem of today is that there is not enough baristas for all the speciality coffee stores that are opening at the moment, then what they do is now hiring a person X and teach in a couple hours everything, there is no love educated for this job and in 2 days They are already handling an espresso machine and then they calls themself baristas, without even knowing how much time, money and effort hides behind that word. Another problem that I see with this is money, it is more economical to have one of these, let’s call them “showcase baristas” that one of us, since our knowledge, experience and study costs and many employers are not willing to pay us what we deserve, so it’s going to come to a point where all this investment we have done all over the years will not serve us to have a good payed job and we have to start to think about changing of career. If things continue like this, there will come a point where beeing a barista evolve from a beatufull Professions to a job more. What we have to do is continue to get educate, fight for respect and improve what we do every day so that we never become just another job. ¿Estamos mandando a nuestros mejores baristas al matadero?